As the sun set in Alluvial, all eyes fell on the Hill of Grace. Last Friday 23 November, InterContinental Melbourne The Rialto hosted an exclusive wine degustation evening in partnership with Henschke wines. A 5 course degustation with expertly matched Henschke wines and with Justine Henshcke as the guest speaker, talking through their family story and history of each matched wine, proved to be an event no Henschke fan would have wanted to miss. On Friday 23 November, An Evening with Henschke was hosted at Alluvial Restaurant in the five star luxury hotel, InterContinental Melbourne. 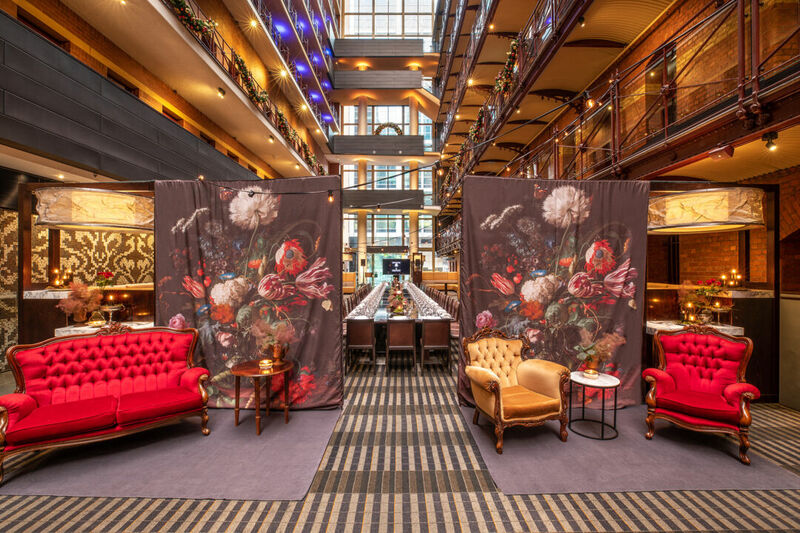 A partnership with Henschke wines and InterContinental Hotels and Resorts to host a Melbourne wine degustation in their Melbourne hotel. The evening was limited to only 50 seats with guests being showcased a degustation menu from hotel chef Ian Lee. “My cooking influences come from my global experience of working within luxury hotels for over 20 years. I’ve worked in Korea, Dubai and Australia, with Australia being my favourite country and cuisine to cook. 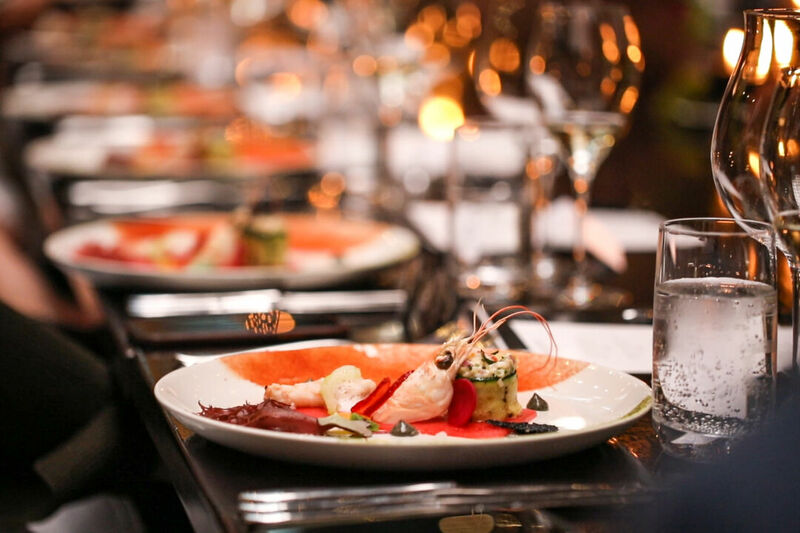 I’ve worked tirelessly to create a menu to match the wines and champagne to bring out their true flavours, I look forward to guests experiencing my food apart of this event”. Guests were welcomed to an appetizer of Champagne butter poached wild scampi, watermelon panel, truﬄe, rainbow beets, strawberry compressed celery, aioli and lemon Champagne foam matched with the 2018 Julius Riesling en Magnum. An entrée of slow cook ﬁve spiced ﬂavoured roast quail, saﬀron cheese rice, conﬁt shallot, raspberry jus, pamplemousse and pomegranate salad with matched 2012 Alan Pinot Noir followed shortly after. For the main course, chef Ian Lee served Black angus beef twin medallions, sun dried tomato paste,mushroom duxelle, black garlic, asparagus, yukon mash and port wine jus to match the 2013 Marble Angel Cabernet Sauvignon. The main showcase of the evening was the 2008 Hill of Grace Shiraz, which was discreetly matched with a selection of Milawa cheeses and muscatels. For the last course, guests were served dark chocolate delice with caramelized hazelnut crunch and lime sorbet to match the 2016 Noble Rot Gewurztraminer. “Thank you so much to the InterContinental Melbourne The Rialto for creating a seamless event. Thank you to your team, and to the Chef! The food was beautiful”. Justine Henschke. Guests departed with special gifts from all the partners involved, including dark chocolate with rooftop honey from InterContinental Melbourne, brioche buns from hotel high tea partner Vue de Monde and stationary gifts from Henschke wines. Styling for the evening was supported by Hens Teeth Trading. 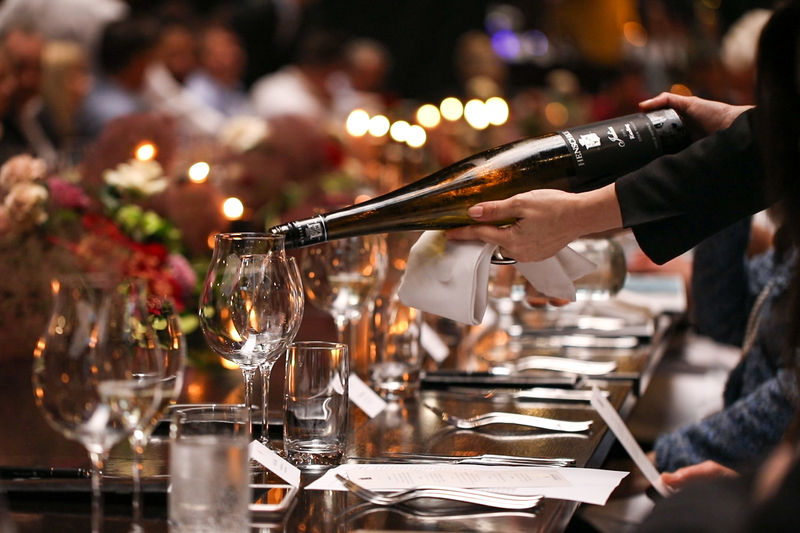 InterContinental Melbourne The Rialto regularly hosts degustation events with wine partners. To stay informed of our next ticketed event and updates, please subscribe to our newsletter.